Fortnite 3.5 Patch Notes Live | Nerd Much? Another week, another update to one of the hottest games in the world right now. Epic Games has released their 3.5 update for Fortnite. And it brings fresh content and great additions to Battle Royale. The biggest addition to Fortnite Battle Royale is the new Port-a-Fort item. You can check out the trailer above to see it in action. It seems like the perfect item for those of us that can’t comprehend building cohesive structures in the heat of battle. The item will appear with Epic rarity. 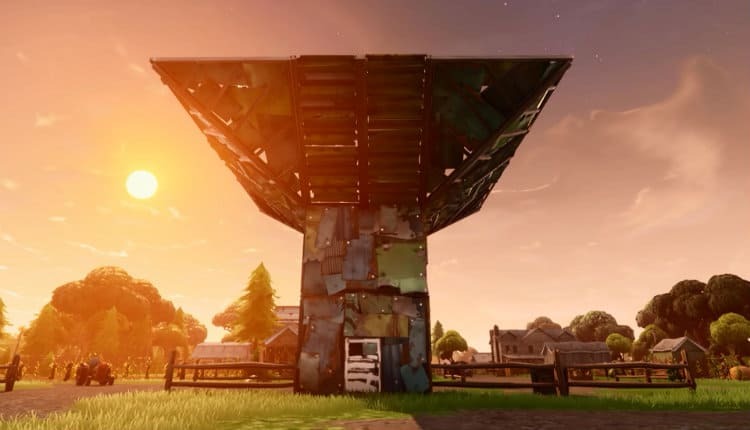 You pick up one Port-a-Fort at a time and can stack up to five. The item builds a steel tower with at 1×1 base. A door is constructed at the bottom for entry, and tires are outside for easy access to the roof. The Guided Missile looks to be nerfed by the 3.5 update quite a bit. It’s turn rate has been reduced to 75%. And it’s overall speed is down 15%. There have also been dramatic changes in the weapon appearance rates from Vending Machines. Epic is also installing a replay system for Battle Royale. You’ll be able to save your matches and watch them from any angle. You’ll have the ability to control the speed of the video and choose from multiple different cameras. Camera selections consist of a third person view, drone view, and 1 to 1 gameplay view. This is currently only available on console and PC. 50 v. 50 is making a comeback. Considered as v2 (just like Snipers and Explosives), the mode will be reappearing in Fortnite Battle Royale “soon”. Our guess is next week. There are dramatic changes to the mode for v2. This time there are two different buses dropping into the map. One for your allies and one for your enemies. You can see both on the map before the buses hit the air. The final storm circle will be visible from the beginning of the match too. There will be 10 minutes before the storm converges on its final radius. Supply drops will come in batches of 3 to 6 at a time, always within the final circle that you see from the beginning. Epic is also introducing a new “Squad Comms Wheel.” This makes it much more easy to communicate in Squads without voice chat. With the Wheel, you can easily call out the following: Enemy Spotted, Need Meds, Need Shields, Need Materials, Need Weapon (context-sensitive), and Need Ammo (context-sensitive). Save the World mode has a bevy of new additions too. There’s a new Questline, heroes, weapons, bosses and bug fixes. For a full breakdown of the 3.5 update, checkout the full patch notes here.